The only thing I thought at that moment was that the ice queen was still not finished. So the next days I finished the doll, packed it, gave to my husband that he could place it under the Christmas tree, in case I won't make it home. Four days before Christmas I went to hospital. Operation was good, although I was still weak I came home for Christmas. I wanted to see may daughter opening up her present. It was the best Christmas present I got: she screaming, "Mom, Santa knew exactly what I wanted!!!! He brought me the best Ice Queen ever!!" 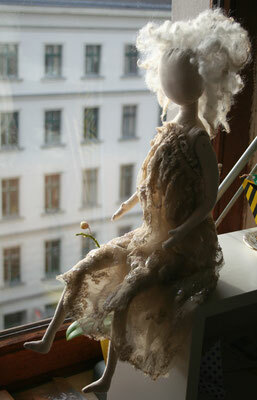 During the time of rehabilitation I made some other dolls. 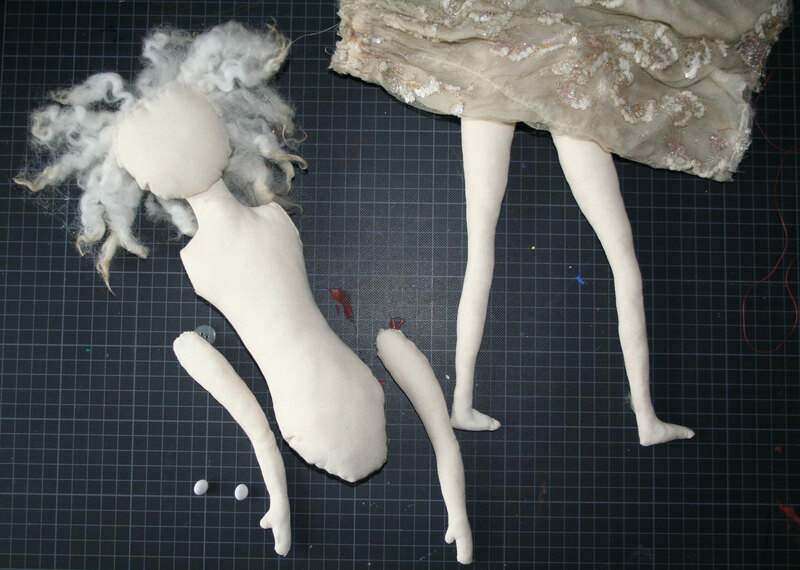 I was keen to try all those methods I learned in doll making books and tutorials. It distracted me thinking about what I was going through. And somehow I got addicted. Not only making dolls, but the idea of other people, children or adults, opening a package, taking a doll I made and have the same happiness in their faces as my daughter. 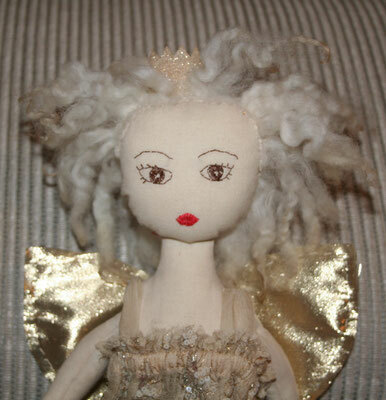 So I make dolls now. I am happy, healthy and looking forward to hear from all those of you, looking at my dolls with a childish joy in your heart. For older entries please go to my old blog page here.